100 Word Story is an online publisher of short shorts, flash fiction, and prose poems. Editors: Lynn Mundell and Grant Faulkner. Each issue of 10×3 showcases 10 poets x 3 poems or 3 poets x 10 poems plus other poems, prose-poems, or features. Located in Morgantown, WV. Sue Ann Simar, Editor. 3QR: The Three Quarter Review is an online journal publishing poetry and prose that is “at least 75% factual.” Based in Baltimore. Joanne Cavanaugh Simpson, ed. A & U, America’s AIDS Magazine, a print magazine, publishes articles on AIDS-related advocacy, treatment and care, and literature (poetry, drama, fiction, creative nonfiction) responding to the pandemic. Noah Stetzer, Poetry editor. Folio is a student-edited print journal, sponsored by the Department of Literature at American University in DC. Published biannually, Asian American Literary Review features fiction, poetry, creative nonfiction, translations, comic art, interviews, and book reviews. Based in Crownsville, MD. Lawrence-Minh Bùi Davis and Gerald Maa, editors. The Atlantic is a monthly magazine based in DC with essays on culture and politics, interviews, fiction and poetry. Atticus is a weekly online journal of stories, poems, and mixed media. Dan Cafaro, Publisher. Baltimore Review is an online journal that publishes poetry, fiction, and creative nonfiction; located in Towson, MD. Also sponsors theme-based contests, and one annual print issue. Barbara Westwood Diehl and Kathleen Hellen, Senior Editors. Barrelhouse is a magazine of fiction and poetry from new and established authors, plus essays and interviews on everything from music to reality television. Their Barrelhouse Chapbook series publishes poetry chapbooks (edited by Tony Mancus and Dan Brady). Also publishes occasional anthologies. Based in DC. Big Lucks is a quarterly print journal of poetry, fiction, and art, based in DC. Although based in Georgia, the Translations Editor for Blue Lyra Review is Nancy Naomi Carlson, a poet from Silver Spring, MD. Publishes three online issues per year; includes poetry, fiction, nonfiction, reviews, translations, and visual art. Features authors of diverse backgrounds, with a special interest in Jewish authors. NOTE: Final issue published in 2017. Archives still available online. The Broadkill Review Press publishes six issues a year. Also sponsors the Dogfish Head Poetry Prize, an annual poetry book contest, and publishes chapbooks and full-length collections. Located in Milton, DE. Jamie Brown, ed. Chickenbones in an online journal of “literary and artistic African American themes” from Jarratt, VA. Rudolph Lewis, ed. The Cicada’s Cry is a haiku and senryu micro-zine based in DE that publishes 4 issues a year. Edited by JM Reinbold and Maria Masington. Cobalt Review is a quarterly online journal of fiction, poetry, nonfiction, and interviews, based in Baltimore. Andrew Keating, ed. The William and Mary Review is an annual journal of poetry, fiction, and the visual arts housed at the college in Williamsburg, VA. Student editors. Contemporary Haibun, based in Winchester, VA, publishes annually each April, and is the first Western journal devoted entirely to haibun. Bob Lucky, ed. The Dead Mule is a monthly online journal of Southern literature. Publishes poetry, fiction, essays and memoirs. The Asst. Ed., C.L. Bledsoe, is local. Delaware Poetry Review is a web journal based in Lewes, DE, focusing on writers from the Delmarva region. One to two issues per year. Editors: JoAnn Balingit, Michael Blaine, Jeffrey Lamar Coleman, Dennis Forney, H.A. Maxon, Kim Roberts. District Lit is a journal of poetry, fiction, interviews, and visual art based in Arlington, VA. Publishes online “on a rolling basis.” Diana Smith Bolton, founding editor. The Doctor T.J. Eckleburg Review is an online quarterly of poetry, fiction, and creative nonfiction, with annual print editions. Rae Bryant, Editor-in-chief. Headquartered in Easton, MD, the Eastern Shore Writers’ Association serves writers from the tri-state area of the Delmarva Penninsula. Hosts monthly meetings, mentorships, speakers, critique groups, and a journal, the Delmarva Review. Modest fees charged. 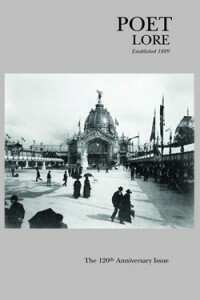 Edge publishes books of experimental poetry, as well as the journal Aerial Magazine (now out of print, back issues available). Buck Downs, editor. Eight Stone Press publishes chapbooks and Smile, Hon, You’re in Baltimore!, a journal that captures “everything that defines what it means to live in Charm City.” Editor: William P. Tandy. 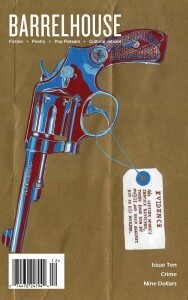 Failbetter.com is an online quarterly of fiction, poetry, and visual art, based in Richmond, VA. Editor: Thom Didato. Kestrel is the journal of Fairmont State University in Fairmont, WV. Publishes two print issues per year of poetry, fiction, nonfiction, and visual art. Publishes new and established authors; special interest in Appalachian authors. Fjords publishes poetry, fiction, creative nonfiction, translations, visual art. Based in Lynchburg, VA. Miguel Pichardo, editor-in-chief. Fluent Magazine covers arts and culture in West Virginia’s Shenandoah Valley and neighboring regions. Bimonthly, online, free. Includes poetry and prose. Nancy McKeithen, ed. 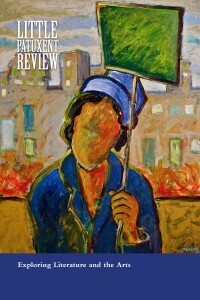 Free State Review publishes two print issues of fiction, poetry, and nonfiction a year. Based in Upperco, MD. Hal Burdett, J. Wesley Clark, and Barrett Warner, eds. George Mason hosts three journals, Hispanic Culture Review, a bilingual print annual hosted by the Department of Modern and Classical Languages, and So To Speak: A Feminist Journal of Language and Art, and Phoebe, both hosted by the Department of English. All are student edited. So To Speak and Phoebe also sponsor annual creative writing competitions, with cash awards. George Mason is also the location of the Alan Cheuse International Writers Center, which facilitates the exchange of international writers to foster tolerance and understanding. Gival Press is an independent publishing house with titles in poetry, fiction, and non-fiction in English, French, and Spanish. Runs an annual poetry book competition as well as two competitions for single poems, the Tri-Language contest and the Oscar Wilde Award. Also publishes ArLiJo, the Arlington Literary Journal, an online monthly journal of writers from around the world whose work “promotes understanding and sensitivity across borders.” Robert L. Giron, ed. The Golden Key is a bi-annual journal of speculative and literary poetry and fiction, based in College Park and Annapolis. Editors: Lindsay Fowler and Carlea Holl-Jensen. Haunted Waters is a fine letterpress print studio based in Front Royal, VA. Publishes handbound books and paper ephemera. Also publishes a quarterly online literary journal of poetry, fiction, and creative nonfiction, called From the Depths. Susan Warren Utley and Savannah Renee Spidalieri, editors. Innisfree is a biannual online journal of contemporary poetry and reviews. Greg McBride, ed. The Johns Hopkins University Press publishes approximately 200 books a year, on subjects in the arts and humanities, medicine, history, social science, and the Chesapeake Bay. Among the journals it distributes are Callalloo, The Hopkins Review, The Sewanee Review, and the Wallace Stevens Journal. The Light Ekphrastic is an online journal that pairs poets and writers of short fiction with visual artists to create new works. Based in Catonsville, MD; edited by Jenny O’Grady. Lines + Stars is a bimonthly journal of poetry and fiction based in DC. Each issue has a theme. L+S Press publishes chapbooks through an annual Mid-Atlantic first book competition. Rachel Adams, ed. Little Patuxent Review is a journal of poetry and prose from Columbia, MD. Steven Leyva, ed. Loch Raven Review, based in Baltimore, is a quarterly webzine with an annual print compilation, publishing poetry, short fiction, articles, and translations. Editors: Christopher T. George, Dan Cuddy. Lyrical Passion Poetry E-Zine, based in Arlington, VA, is a monthly online magazine specializing in Japanese short-form poetry. Raquel D. Bailey, ed. MahHat Lit is a weekly online publication of poems, flash fiction, mini-interviews and audio. Published in Boston, but Associate Poetry Editor Cynthia Atkins is based in the DC region. Milk is an online biannual journal of poetry, fiction, and nonfiction, from Maryland’s Eastern Shore. Kathryn Merwin, Charlotte Covey, and Erin Traylor, eds. The Minnesota Review is a print journal, publishing poetry, fiction, creative nonfiction, reviews, and critical essays in two issues per year. Although founded in Minnesota in 1960, it has not been located in that state for about 40 years. Based at Virginia Tech in Blacksburg, VA. Student editors, under the guidance of creative writing faculty. Two reading periods per year. Montgomery College hosts The Potomac Review, “the biannual journal with a conscience–and a lurking sense of humor.” Poetry, prose, art and photography. Editor: Julie Wakeman-Linn; Poetry Editor: Katherine Smith. They also sponsor Sligo Journal, an online, student-edited journal of poetry, fiction, nonfiction, translation, and art from the Takoma Park/Silver Spring campus. The NLAPW is a professional membership organization for women writers, composers, and visual artists. The National offices are located in DC. There is also a DC Branch, and branches in Anne Arundel County, Bethesda, Chevy Chase, and Carroll County. No Tell Books publishes full-length and chapbooks of poems, as well as anthologies. Also maintains the archives for the former online journal, No Tell Motel. Based in Reston, VA. Reb Livingston, publisher. Barely South is edited by students and faculty of Old Dominion University’s MFA program. Two issues per year. Publishes poetry, fiction, creative nonfiction, interviews, articles, visual art. An online monthly publication that operated from 2007 to 2017; archives available online. The journal reviewed the arts and literature, Open Letters Monthly was based in four cities; the DC-based editor was Jeff Eaton and the poetry editor was Maureen Thorson. Partisan Press publishes books of poems by working class authors. Also publishes the Blue Collar Review. Located in Norfolk, VA.
Passager is a bi-annual print journal featuring writers age 50 and older, housed at the University of Baltimore. Also publishes single-author books and anthologies, runs an annual competition, publishes special theme issues, and sponsors readings. Editors: Mary Azrael, Christina Gay, and Kendra Kopelke. Paycock Press publishes one title per year of fiction or poetry. Current titles include work by Ed Cox and Joyce Renwick. Also includes the Grace & Gravity series of short fiction anthologies by DC-area women. The press is best known for its annual print journal of prose and poetry, Gargoyle. Based in Arlington, VA. Richard Peabody, ed. Phi Beta Kappa publishes The American Scholar, which usually includes about 5 poems in each issue. Robert S. Wilson, Ed. Pilot Light is an on-line journal of 21st century poetics and criticism published twice a year. Co-editor Natalie Giarratano is based in Northern VA.
Poetry Daily reprints a new poem each day online, excerpted from new books, magazines, and journals from across the US. Based in Charlottesville, VA. Editors: Don Selby and Diane Boller. Post No Ills publishes constructive critical writing on the arts and interdisciplinary exchange and insights from arts management professionals. Kyle Dargan, ed. Pretend Genius Press publishes anthologies and single-author books. They also sponsor an online journal of interviews with book authors, called Cafe Hopeless. Quail Bell is an independent zine that publishes online and quarterly in print, combining journalism and creative writing, for “fairy punks” exploring the relationship between the Real and the Unreal in DC, MD, and VA. Edited by Christine Stoddard. Queen Mob’s Teahouse is an online journal of poetry, fiction, interviews, reviews, weird advice and more. Editors with DC-area ties: Abby Higgs, Reb Livingston, Rion Scott. The Quotable was a quarterly print and online journal based in Portsmouth, VA that folded in 2016; archives available online. Published poetry, fiction, nonfiction, visual art. Eimile Denizer, Lisa Heins Vincent, Leslye PJ Reaves, editors. r.kv.r.y Quarterly Literary Journal is an online journal of poetry, fiction and nonfiction with the theme of recovery. Although based in New York State, the nonfiction editor, Randon Noble, is from the DC area. Redux is an online journal of previously published stories and poems not found elsewhere on the web, “work worth a second run” that operated from 2011 through 2018. The archives remain online. Based in Northern Virginia. Founding editor: Leslie Pietrzyk. The Department of English at Roanoke College sponsors The Roanoke Review, an online, student-edited online journal of poetry and fiction. Based in DC, Sakura Review publishes poetry and prose. Tom Earles, editor; Julia Leverone and Adam Pelligrini, poetry editors. Scene4 is a monthly online magazine covering theatre, film, opera, music, plays, books, media, and blogs. Although located in Washington State, regular contributors include three DC poets: Karren LaLonde Alenier, Miles David Moore, and Kathi Wolfe. Sinister Wisdom is a multicultural journal by and for lesbians publishing three issues a year. Although located in Berkeley, CA, one of the two editors, Julie R. Enszer, is local. Small Print Magazine is a resource and showcase for writers based in Richmond, VA. Ed., Steve Brannon. Smartish Pace is a Baltimore-based journal of new poems and translations. The website features poems, an audio archive of poetry, plus reviews, interviews, and Poets Q & A, in which poets field questions from readers. Editor: Stephen Reichert. Smokelong is a journal of flash fiction and interviews. Also publishes a weekly newsletter. Published in DC and Las Vegas. Tara Laskowski and Beth Thomas, senior eds. Sojourners is a DC-based journal of Christian faith, politics and culture “whose mission is to proclaim and practice the biblical call to integrate spiritual renewal and social justice.” Publishes some poetry in every issue. Poetry Editor: Rose Marie Berger. The Sow’s Ear publishes poetry, visual art, and hybrid forms of “crossover” works that combine poetry with other disciplines. Also runs a chapbook series. Based in Winchester, VA. Editor: Kristin Zimet. Split Lip is an online quarterly journal where literature mingles with pop culture. Poetry, fiction, memoir, reviews, interviews, special features. Editor-in-chief Amanda Miska and Poetry editor Tafisha Edwards are both from the DC region. Also publishes books through Split Lip Press. Streetlight is an online quarterly journal of poetry, fiction and nonfiction based in Charlottesville, VA. Trudy Hale, ed. The Summerset Review is a quarterly journal (mostly online, occasionally in print) devoted to the review and publication of fiction, nonfiction, and poetry. Based in NY, but the editor works in DC, and the poetry editor is based in MD. Joseph Levens, ed. Meredith Davies Hadaway, poetry ed. The Skinny is an online journal devoted exclusively to an 11-line form called the “Skinny,” developed by editor Truth Thomas. The first and eleventh lines can be any length (although shorter lines are favored). The eleventh and last line must be repeated using the same words from the first and opening line (however they can be rearranged). The second, sixth, and tenth lines must be identical. The editor posts poems regularly, on an irregular schedule. Tidal Basin publishes print and online versions of the journal, based in DC. Editors: Randall Horton, Melanie Henderson, Tori Arthur, Patricia Biela, Fred Joiner, and Truth Thomas. Grub Street is an annual print journal of poetry, short fiction, and visual art from Towson University, featuring primarily the work of students. Rotating student editors. Welter is UB’s student-run annual literary journal. For more than 40 years, publishing poetry, fiction, and nonfiction from across the country. The University of Mary Washington hosts an online biannual journal of poetry, fiction, and nonfiction, Rappahannock Review. Feminist Studies publishes three issues per year, with poetry in every issue. Based in College Park, MD and sponsored by the University of Maryland Department of Women’s Studies. Also housed at the university is a refereed, scholarly website, Romantic Circles, devoted to the study of Romantic period literature and culture. Includes e-editions of texts, critical essays, bibliographies, guides for teachers, scholarly resources, and more. Edited by Neil Fraistat and Steven E. Jones. Of special interest is the feature “Poets on Poets” in which contemporary poets read their favorite works by Byron, Shelley, Wordsworth, Coleridge, and Keats. The University of Richmond hosts Verse, a journal of poems, book reviews, and magazine reviews. Meridian is a semi-annual journal with student editors. The Virginia Quarterly Review is a “national journal of literature and discussion,” Jon Parrish Peede, Publisher. Hospital Drive, the literature and Humanities Journal of the School of Medicine, publishes poems, short fiction, essays, visual arts, and audio and video art on themes of health, illness, and healing; publishes 3 to 4 issues online per year. Paul Shepherd, ed. Unsplendid is a quarterly online journal of poetry in traditional forms, based in Baltimore, Columbus OH, and Phoenix AZ. Doug Basford, Jason Gray, Erin Sweeten, and Natalie Shapero, Editors. Vestal Review is a semi-annual perfect-bound print magazine with a web presence, devoted to flash fiction. Based in Brighton, MD. Mark Budman and Sue O’Neill, editors. The Veterans Writing Project is a DC-based nonprofit group that provides no-cost writing seminars and workshops for veterans, active and reserve service members, and military family members. They also produce a podcast and publish a quarterly literary review, O-Dark-Thirty. Broad Street is an annual journal of true stories, publishing literary journalism, creative nonfiction, and visual art. Blackbird is a quarterly online journal of poetry, fiction, and nonfiction, a project of VCU and the New Virginia Review, a state-wide non-profit literary organization based in Richmond. Washington and Lee is home to Shenandoah, an online journal of poetry, fiction, and nonfiction. R.T. Smith, ed. Site of the Rose O’Neill Literary House, Washington College hosts readings and lectures, runs a hand-letter press, and publishes an annual journal, Cherry Tree. The O’Neill House also sponsors visiting writers’ fellowships, a Cave Canem Residency, and a series of Summer Poetry Salons. The Washington Independent Review of Books, edited by David O. Stewart, publishes reviews of books, interviews, essays and podcasts. Based in DC. Web Del Sol hosts and The Potomac Journal and Del Sol Press. Michael Neff, ed. ; based in DC. Cheat River Review is an online journal of poetry and prose published by the MFA program at West Virginia University. Publishes two issues per year, based in Morgantown, WV. Yes Yes Books publishes books of fiction and poetry. Also publishes the online journal Vinyl Poetry. Founded in Virginia, now located in Oregon. Editor: K.M.A. Sullivan.